The life of an entrepreneur or of an aspiring entrepreneur is difficult. There are many things that can go wrong and interruptions are a huge part of everything. You will not be able to completely eliminate your interruptions but there are ways in which you can get more time. You want to be effective and that is only possible when you actually know everything that you should know about time management. If you really want to gain more time, here are some time management tips that will actually work. I realize that the internet is filled with articles about this topic but you usually receive the exact same advice over and over again. With this in mind, you may want to consider tips that actually work. This is according to my own experience, of course. In order to stick to your schedule you need to first have a schedule. Record all activities, conversations and even thoughts that you have about the upcoming week. Try to create a schedule that is as detailed as possible. At first you will find it tough to stick to it but you will eventually manage to do just that. Having a schedule helps you to know how much work you did and how much work you missed in one week. If you have to do something that is important for your work, you need to assign time to that. Many build to-do lists. Well, they have a tendency to get pretty long. Any to-do list that does not have time attached to the activities planned will get out of control. Let’s say that you need to write content for your blog. Assign one hour for that purpose. Write it down. When you get to the hour when writing should start, just start writing. Keep writing until your time runs out, according to the schedule. At the same time, try to minimize distractions. Close Facebook and log out of Twitter. When you have an activity scheduled, do it for as long as it is scheduled. As a simple rule of thumb, half of your time should be dedicated to the conversations, activities and thoughts that will produce the most results. This is highly important. When you create your schedule, make sure that you do not put in too much time to activities that are not important for your business. For instance, do not research anything about your site if you are a content writer, you have a project and you need to write content for a client. After all, it is what brings in cash at the end of the month. In a similar way, do not look for bartering opportunities if you still need to finish a project that is behind on time. This may seem weird. You need to realize the fact that interruptions will always happen and you have to build a schedule that includes time for such interruptions. The easiest way to do this is to basically build your schedule around office hours. It may seem a little weird since the great thing about being your own boss is that you do not have office hours. Well, if you have time problems, you need office hours! Dedicate time for work! I usually dedicate at least 6 hours per day for work but sometimes it is necessary to go as high as 12-14 hours. When you work or when you should not be interrupted, make sure that you have a sign that says “Do Not Disturb”. Let people know that you cannot talk when you cannot actually talk because you are working. Do all that is necessary to minimize interruptions. The very first thing that you need to do every single day is to plan your entire day. Take half an hour and check out the schedule that you first created. See if there are changes that have to be done based on what happened during the day. Sometimes there are unexpected necessities that need to be taken into account. In a similar way, when you place a call or you have a meeting scheduled, take 5 to 10 minutes to figure out exactly what result you want to have. That helps you to stay focused on your goals and actually aids you to gain a lot of time on the long run. 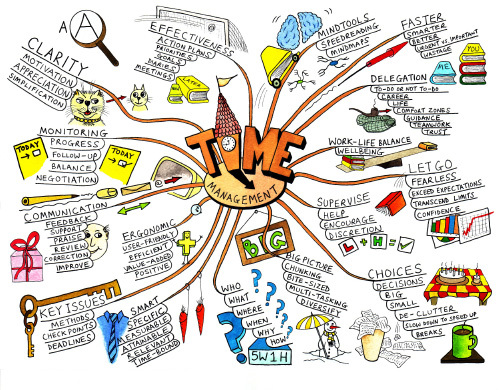 Do you have other time management tips that are really great and effective, according to your personal experience? If so, share them below. I would love to hear new tips about this!